Now is the time to start taking action against that “infamous” insect pest known as the bagworm (Thyridopteryx ephemeraeformis). 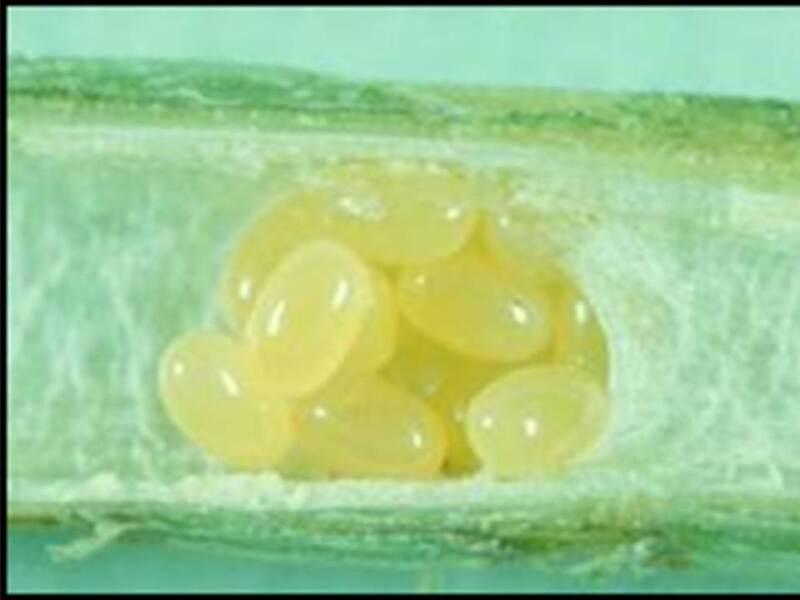 Throughout Kansas, bagworm eggs have hatched and the young caterpillars are feeding on both broadleaf and evergreen trees and shrubs. 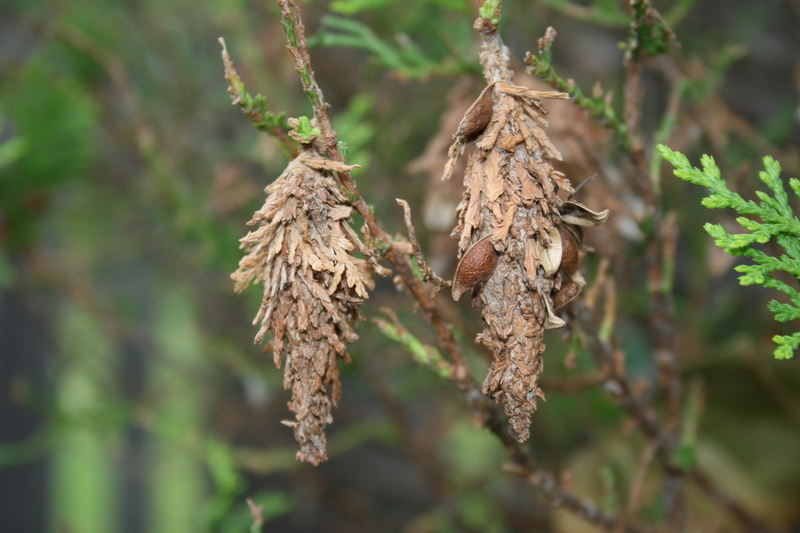 Bagworms are primarily a pest of conifers but have expanded their host range to include a number of broadleaf plants, including: rose, honeylocust, and flowering plum. 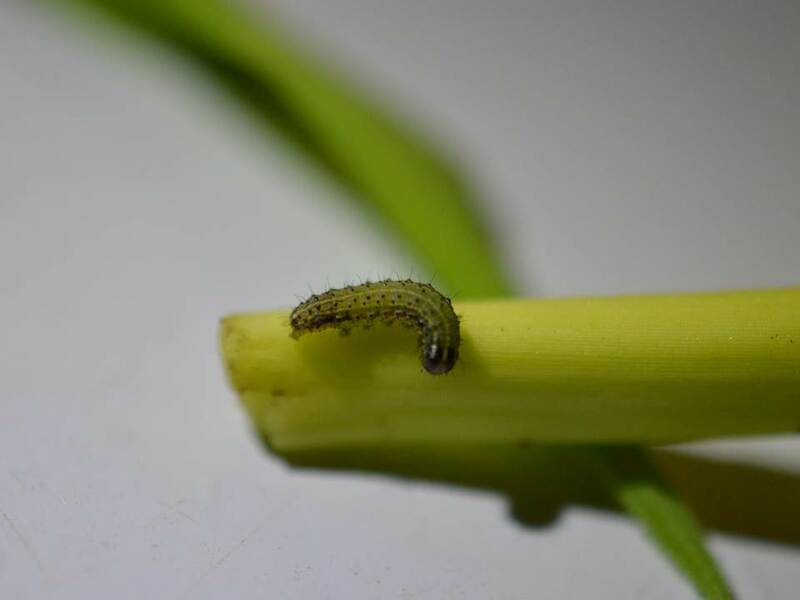 Hand-picking small caterpillars (along with their accompanying bag) and placing them into a container of soapy water will kill them directly. 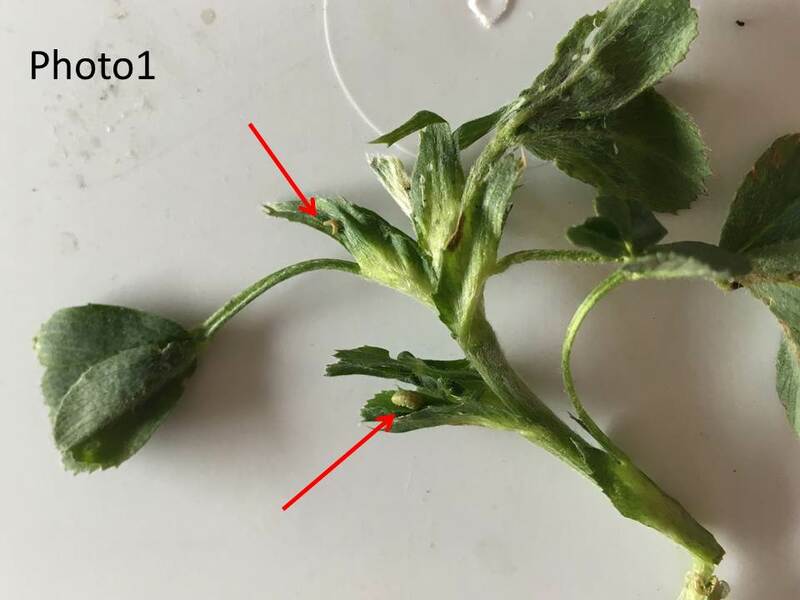 This practice, if feasible, will quickly remove populations before they can cause substantial plant damage. 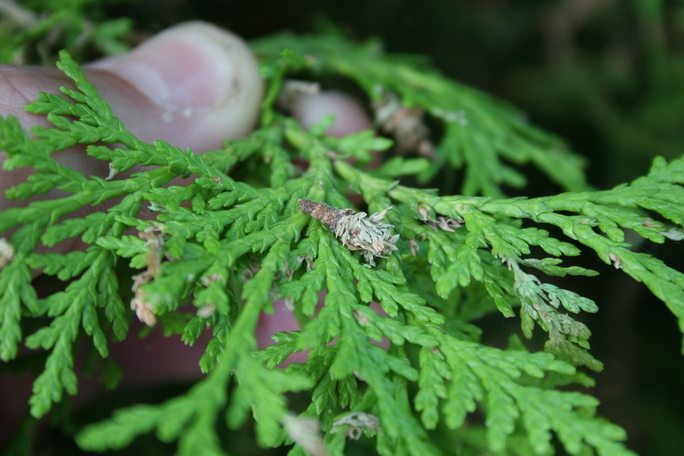 effective when ingested and can be used against older or larger bagworm caterpillars (Figure 3). 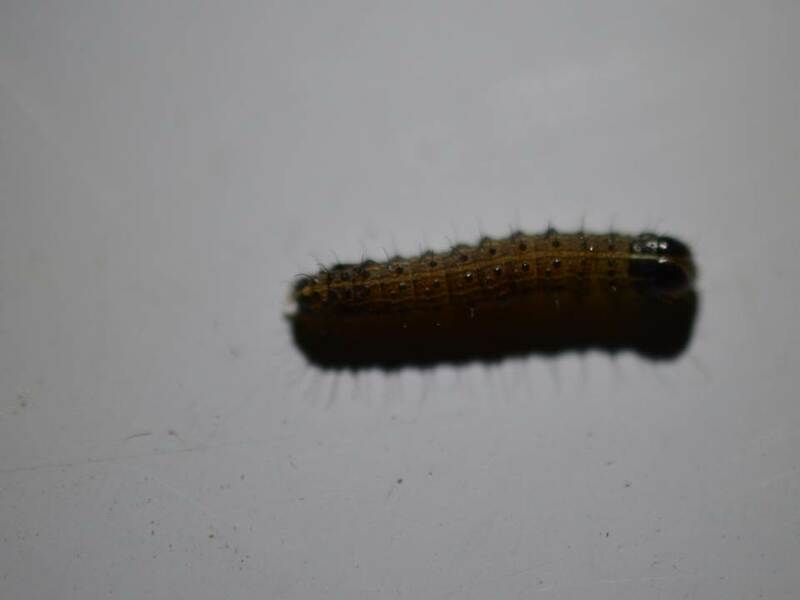 Cyfluthrin, lambda-cyhalothrin, trichlorfon, chlorantraniliprole, and indoxacarb may be used against both the young and the older caterpillars. 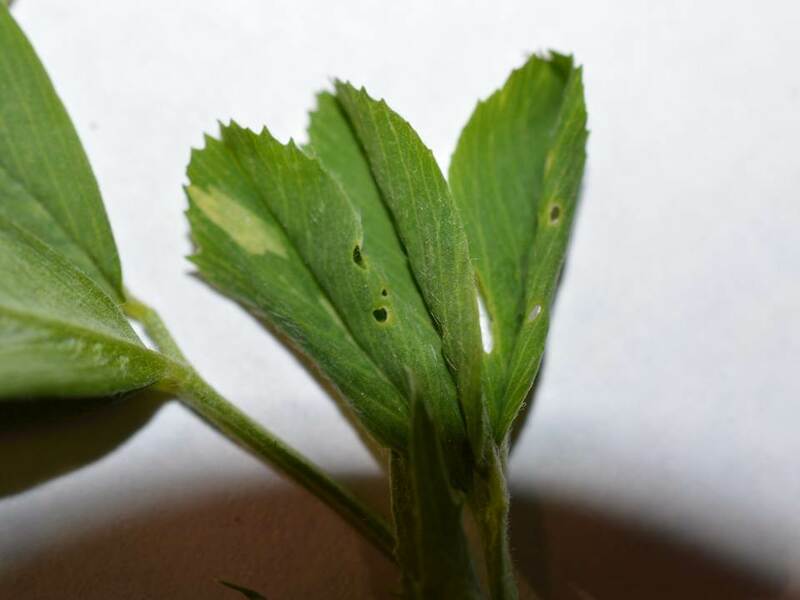 However, thorough coverage of all plant parts, especially the tops of trees and shrubs, where bagworms commonly initiate feeding, and frequent applications are required. 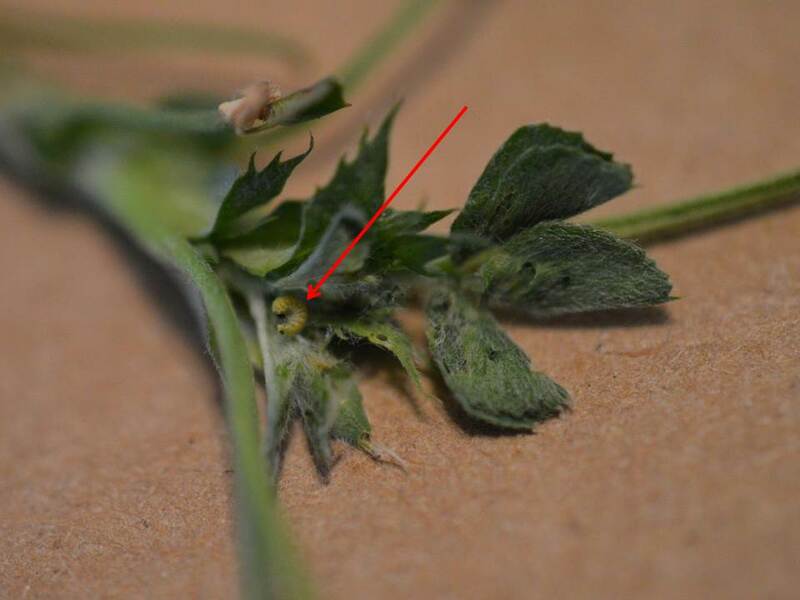 The reason multiple applications are needed when bagworms are first detected is because young bagworms “blow in” (called ‘ballooning’) from neighboring plants on silken threads. 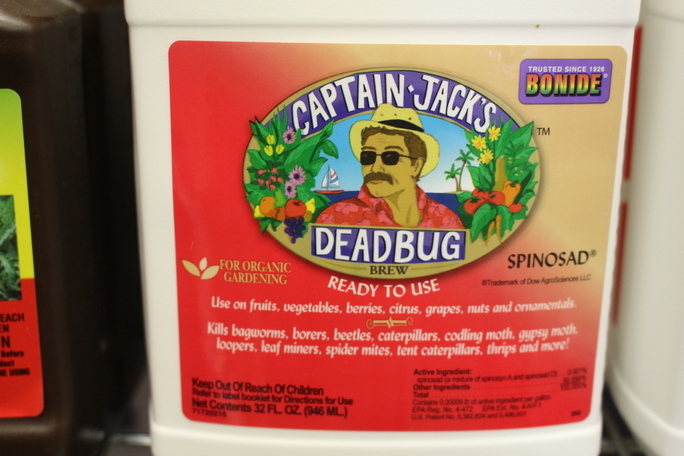 If left unchecked, bagworms can cause significant damage, and ruin the aesthetic quality of plants. 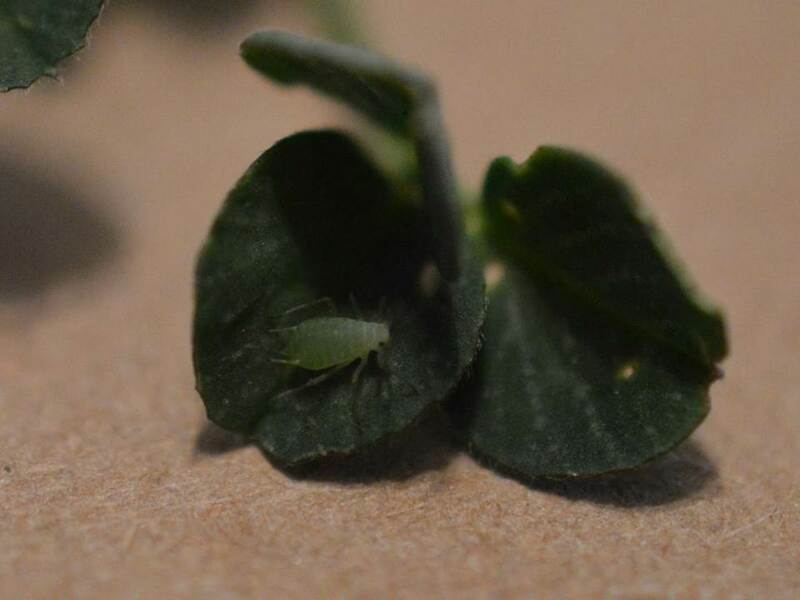 In addition, bagworms may actually kill plants, especially newly transplanted small evergreens, since evergreens do not usually produce another flush of growth. 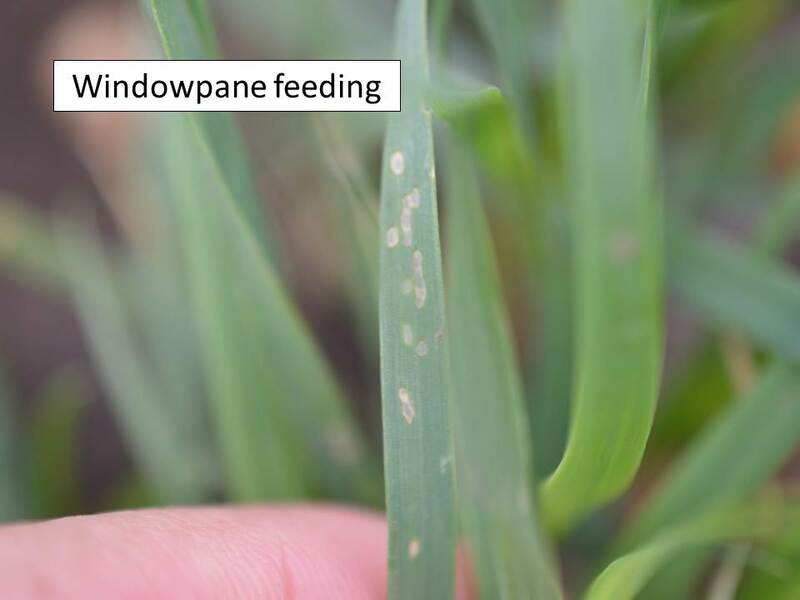 Wheat and alfalfa fields throughout south central and north central Kansas should be monitored for signs of defoliation. 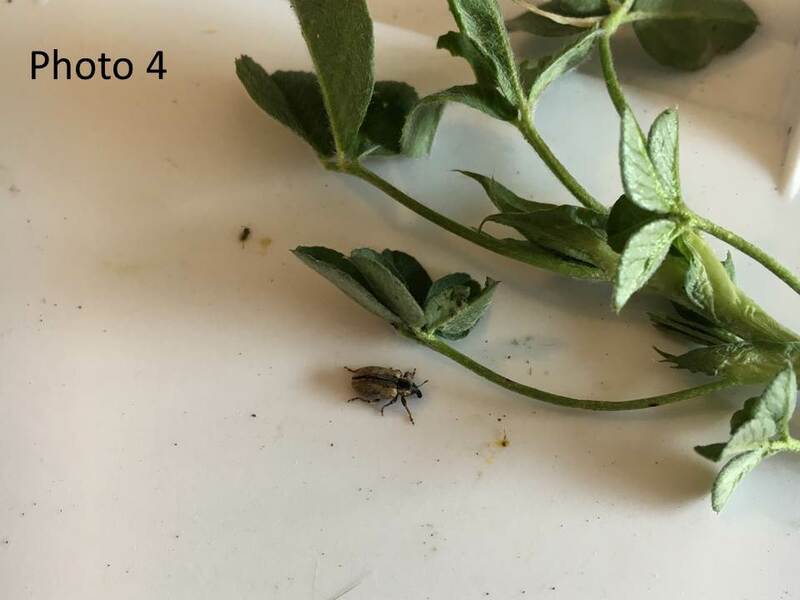 Many pests can defoliate either crop this time of year, i.e. 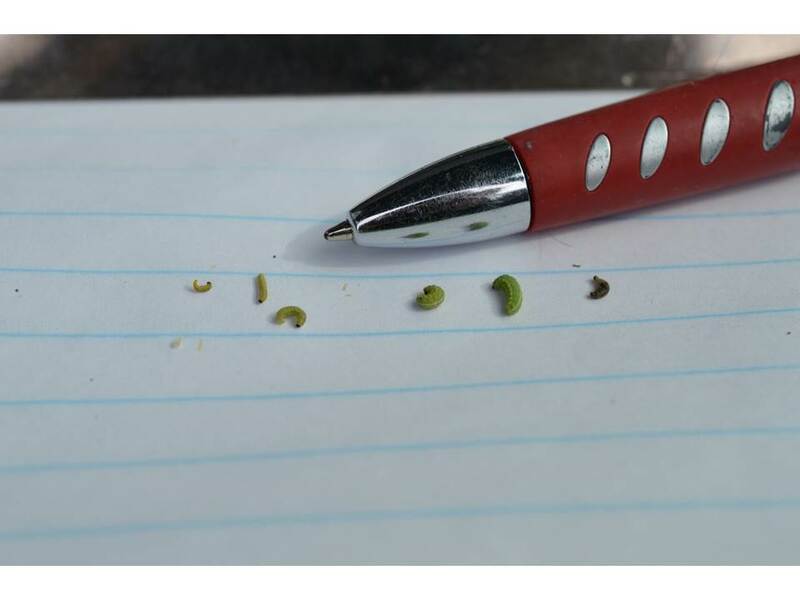 grasshoppers and flea beetles (usually around borders), and “worms”. 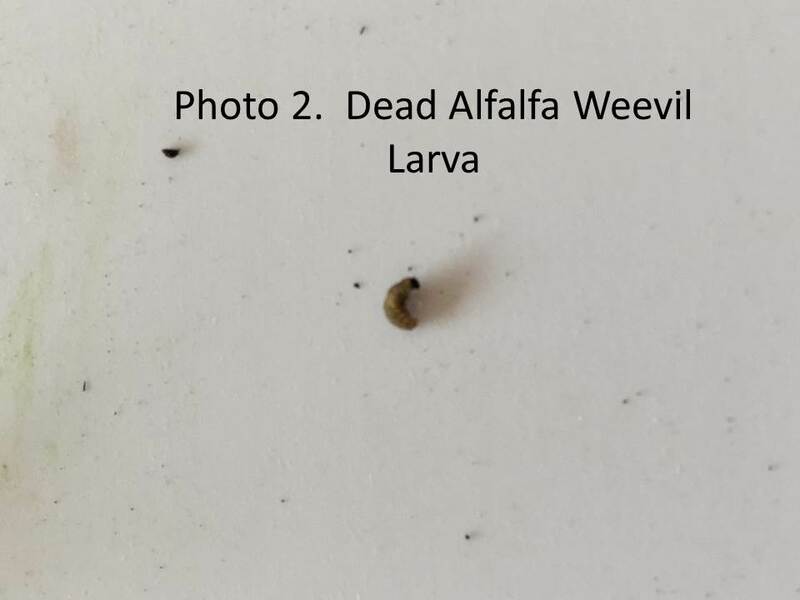 These larvae are most commonly armyworms, fall armyworms, and/or army cutworms. 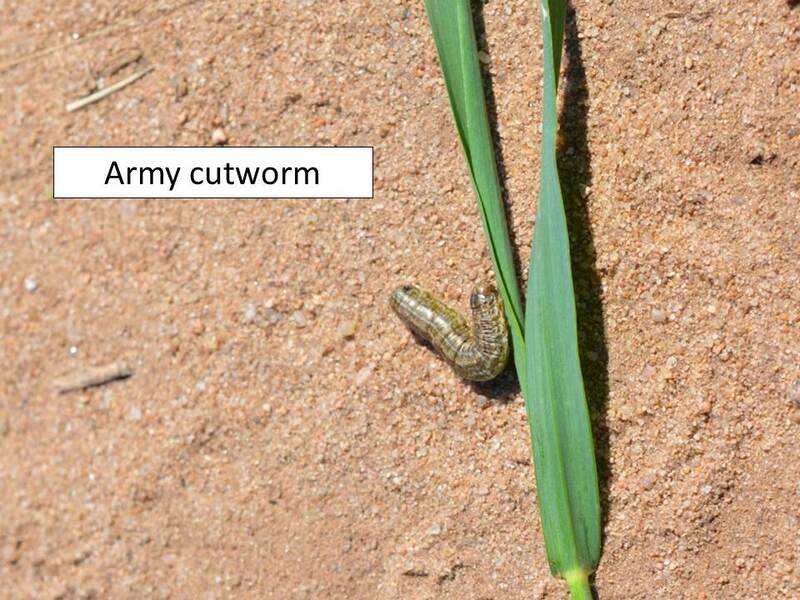 Identification is important for these “worms” because armyworms and fall armyworms will feed until the temperatures cool into the mid-20’s or they pupate, whichever comes first. Army cutworms, however, are and have been hatching from eggs deposited by moths as they return from over-summering, probably in Colorado. 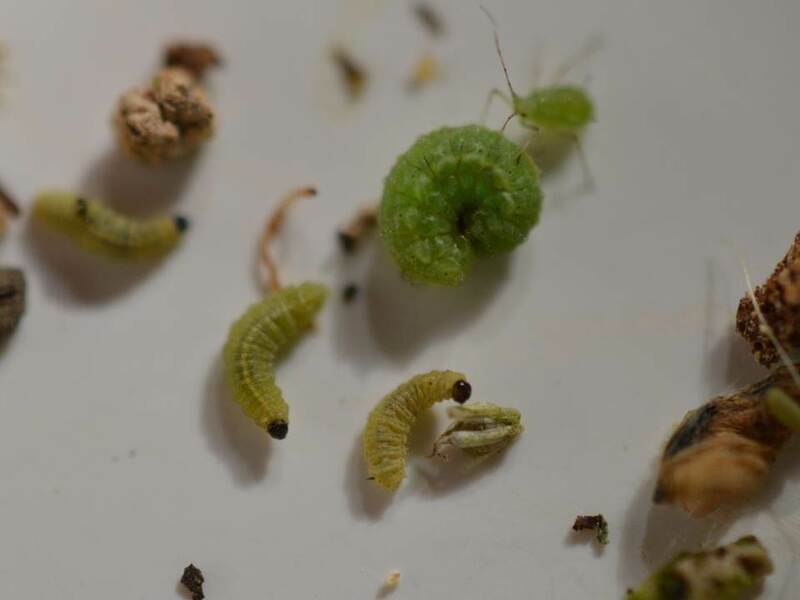 These army cutworm larvae will feed a little this fall, overwinter, then start feeding again in early spring. 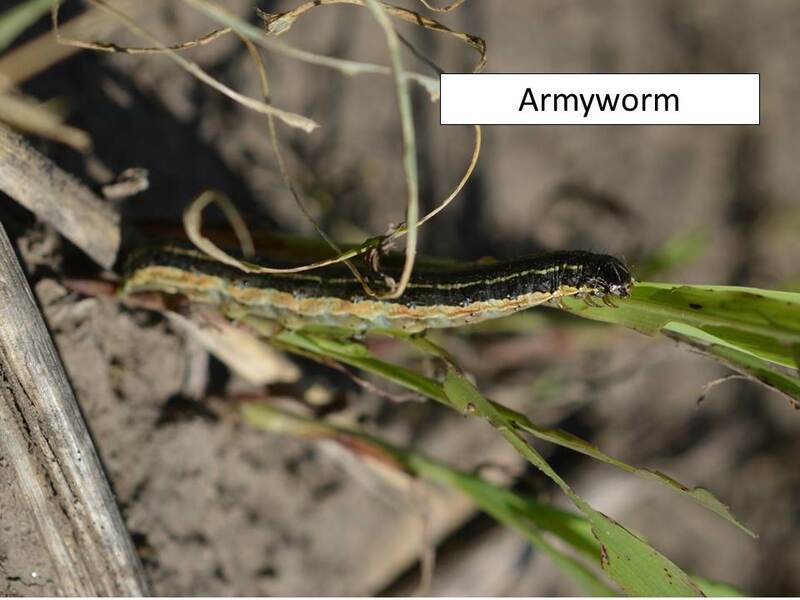 So, if the “worms” causing the defoliation now are relatively large, ½ inch or more, they are probably armyworms and/or fall armyworms. 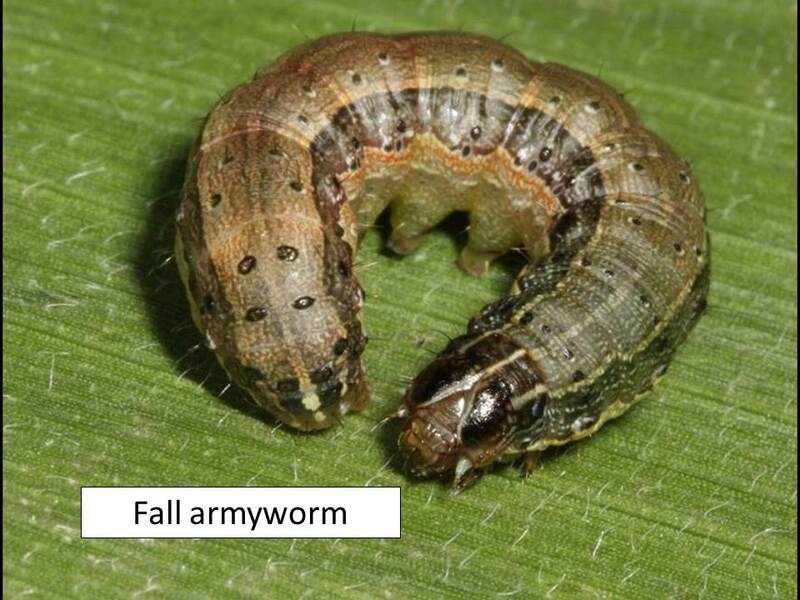 We have been hearing about and seeing a mixture of both armyworms and fall armyworms (see pics below). 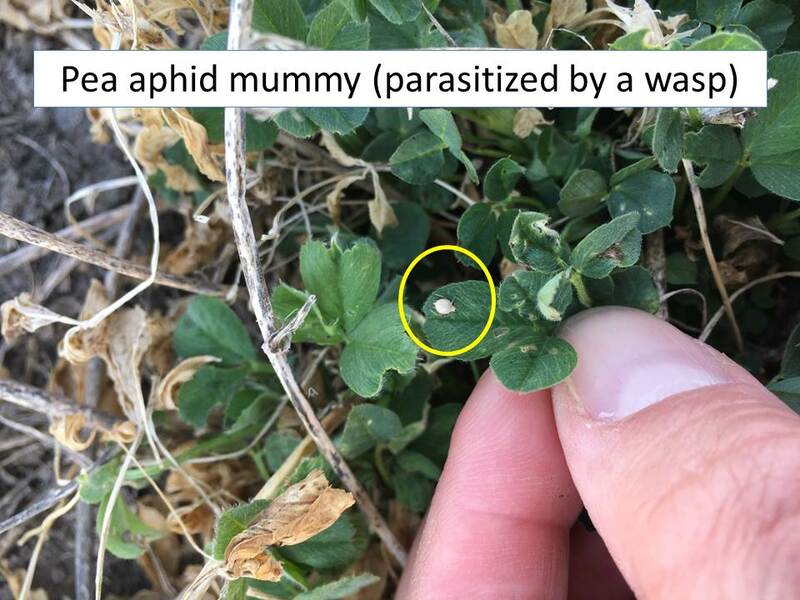 These small worms start by causing small “windowpanes” in wheat or alfalfa. 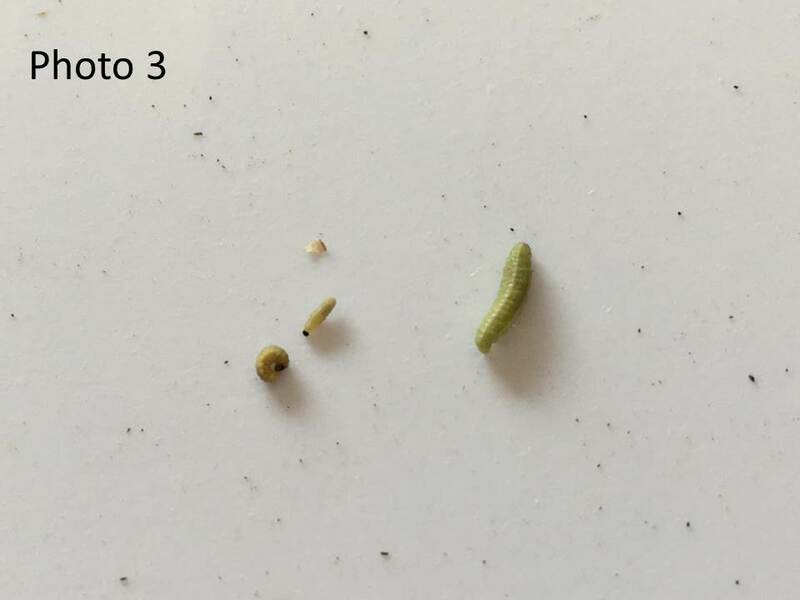 No army cutworm infestations have been verified yet.